with 24 PA++ Sun Protection Factor. First of all, I’m thankful and real excited that I’m part of this Vaseline campaign. In this blogpost, I am going to share with you very essential information on how we, urban women are very vulnerable to skin damage and premature aging due to this sultry summer sun. I'd like also to share easy ways on how to protect our skin against damage. We can’t help it, it’s a real part of our tropical existence, the only thing we can do is arm ourselves with the right information and know the right product that goes along with it. As temperature rises during summer, so as ‘environmental aggressors’ transforming into hostile mode to bring about discomfort and annoyance not only to our skin but also to our bearing. I am Davao City Ready. Used my NEW Vaseline Healthy White Sun + Pollution Protection today. It's Sunday and I went out to do my grocery and settle necessary utilities. As you can see, summer weather here in my beloved Davao City can really be harsh as bashers. So if you want extra protection from the sun and pollution, this new product is here at our disposal. Whether we're commuting or cruisin' in the comforts of our cars, let's go worry-free, let's do the NEW Vaseline Healthy White Sun + Pollution Protection today. But first, let’s understand what are environmental aggressors? Well, they’re predominantly present in the urban area. Some we can see, the worse case are those that we can’t. But often we can feel them especially during summer when mercury is rising. Roughly speaking, environmental aggressors are skin destroyers that will make you look older and saggier than you should look your actual age. POLLUTION – It doesn’t need sound Science to know that pollution of all types can harm our skin. It will clog our pores and eventually lead to dull complexion. They’re everywhere, even as you read this post, even inside our homes. More so if we step out and face the real hot world. These pollutants can trigger oxidation and can damage skin cells. UV RAYS – Summer or not, UV Rays always poses threat to our skin. The sun’s ultraviolet (UV) is a blaring culprit that causes premature skin aging. SMOKE – This is one of the nasty visible environmental aggressors as I write. If we go around the city commuting, watch for it! They can be the most horrible cause of dry skin and wrinkles. This goes also with cigarette smoking. I won’t preach but I would just remind you that more than its long term effect, it’s truly one of the causes for a lady to look older than her actual age. STRESS – Skin stressors come in diverse forms and manners. Problems with work, family, and relationships would count as major causes of internal stress. The unforgiving weather – like the heat of the summer sun, extreme cold causes skin stress that will eventually lead to premature aging. These are the prime source of external stress. Now that we know all these environmental aggressors, I would like to share with you my simple and straightforward solution how we’re going to combat these stresses. While treating internal aggressors take time, I would like to propose we’ll deal with the external first. Have you heard of the NEW Vaseline Healthy White Sun + Pollution Protection? Glycerin – it provides moisturization crucial for your skin’s natural healthy barrier. Stearic Acid – it serves as a building block within the stratum corneum (or outermost layer of the skin) and is crucial to providing healthy skin as it is a key component in the extracellular space. Niacinamide or Vitamin B3 – it is important in maintaining fair skin by inhibiting the transfer of melanin to the keratinocytes. Petroleum Jelly – this element not only traps moisture within the skin but it also act as a protective barrier, blocking particular matters from direct contact with the skin. Vitamin E – its antioxidant that blocks free radicals from the skin thereby reducing wrinkles and keeps a youthful skin. This NEW Vaseline Healthy White Sun + Pollution Protection is perfect for everyone who is always exposed to environmental aggressors especially to city dwellers like many of us. As of press time, this amazing new Vaseline product is only available in one variant and comes in 100ml for P116, 200ml for P200, 350ml for P315 and is now available in all leading supermarkets, drugstores and department stores nationwide. Just like your favourite Vaseline lotion variant, use this twice a day for best results. Apply it sparingly to your entire body for maximum sun and pollution protection. Always store your bottle away from sunlight. And just what our Dermatologists would always tell us, even with this product on – do not stay long under the sun. If you worry about allergic reactions or skin irritations, consult your doctor immediately. But rest assured this new revolutionary product is clinically tested and proven to be safe. So there we go urbanites, don’t go out gallivanting in the sun without protection this summer. 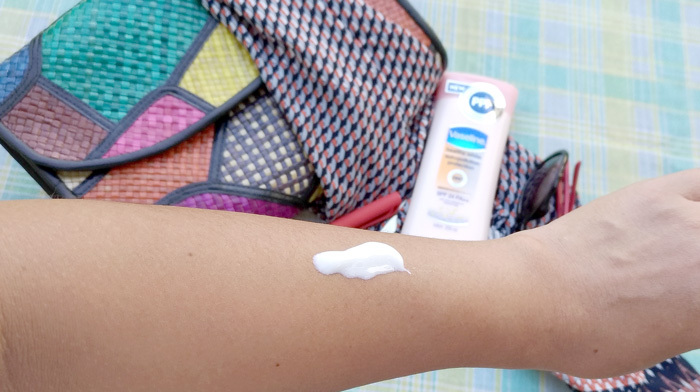 Let’s do summer with the NEW Vaseline Healthy White Sun + Pollution Protection. Follow my summer adventures with the NEW Vaseline Healthy White Sun + Pollution Protection on Instagram @vernsluga and on Twitter @Vernz13. 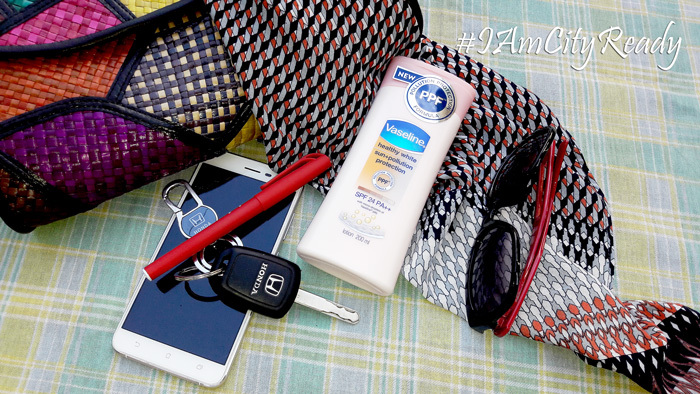 Also follow the conversation #IamCityReady for more summer adventures and skin protection stories. to cover both arms. Use sparingly as this product is true to its promise. 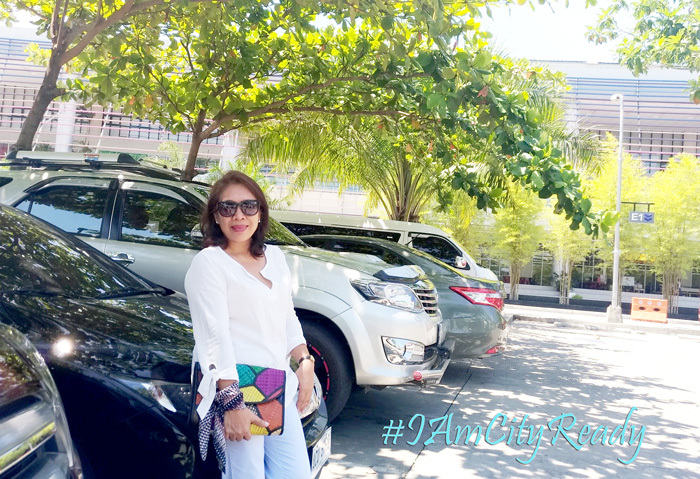 My #IAmCityReady kit came minutes before I departed for Mati City in Davao Oriental for a short and sweet respite with other bloggers and influencers from Manila, Cebu and Malaysia. Sadly I wasn’t able to use it there until yesterday. I’m a certified Vaseline user. I hop from one variant to another and right now I’m polishing off a bottle of intensive care aloe soothe. It's really good and I love its scent. It’s my comfort ritual every after bath or every after I wash my hands. It has its character so as this NEW Vaseline Healthy White Sun + Pollution Protection. As a form of habit, I first flip cover and smell products of this kind. I love the summer floral scent with plumeria undernote on it. It’s not overpowering and it’s not too heady, something very apt for summer scent. The consistency is kind of dense, which I like, unlike other variants where it’s runny and watery. When you smear it on your skin it leaves a light oil feel, a property I need to elude flaky and dry skin especially on this balmy weather. I think that's the light droplets of petroleum jelly working. I love that this product doesn’t leave a greasy and uneasy feeling at all. Its after use is light and pleasant, a feeling you ought to have during this hot summer days. This NEW Vaseline Healthy White Sun + Pollution Protection is formulated to contain 24 PA++ Sun Protection Factor. Let’s go out protected from the harsh sun, not only this summer but the whole year round. Let’s all get city-ready with this revolutionary product, a lotion, a sun and pollution protection rolled into one. Convenient, right? Head to your favourite drugstores, supermarkets and department stores to score a bottle today. Join me on this campaign; Please follow me on Instagram, @VernsLuga and Twitter, @Verns13 for more of #IAmCityReady campaign. Together, let’s inspire many other women to be city-ready; you may use the hashtag too, share your city stories and follow the conversation. Let our Elan Vital roar! Thanks for reading. This post is indeed helpful! Lucky to know that we now can protect our skin from the sun and pollution brought by the city. All thanks to the New Vaseline Healthy White Sun + Pollution protection! Now we can enjoy our outdoor activities without worrying about our skin! Hi Camille, thanks for dropping by.. I've been a loyal of this brand.. moreso now that they have this special formulation. Definitely a savior!